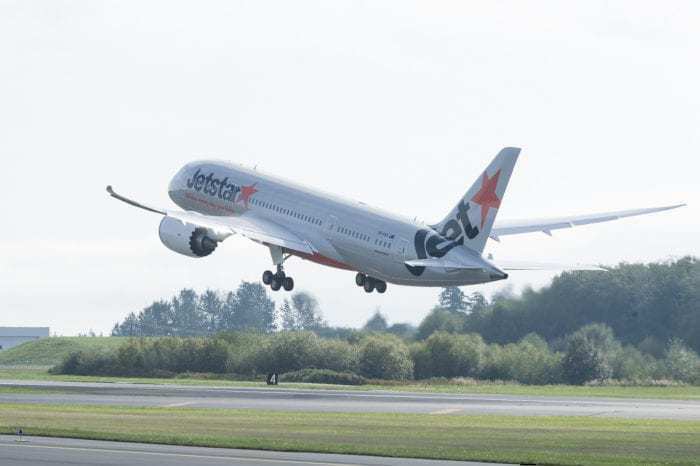 A Boeing 787-8 belonging to Jetstar suffered dual engine troubles during a recent flight from Cairns to Osaka. The aircraft landed safely at its destination, however, the Japanese Transport Ministry said that the event was a serious incident. Alarmingly, this is the second time in three months that a Boeing 787 has suffered dual engine issues while landing in Osaka. Currently, around 35 Boeing 787 aircraft are grounded due to engines problems. The Trent 1000 engines supplied with the 787 are frequently showing signs of premature wear. 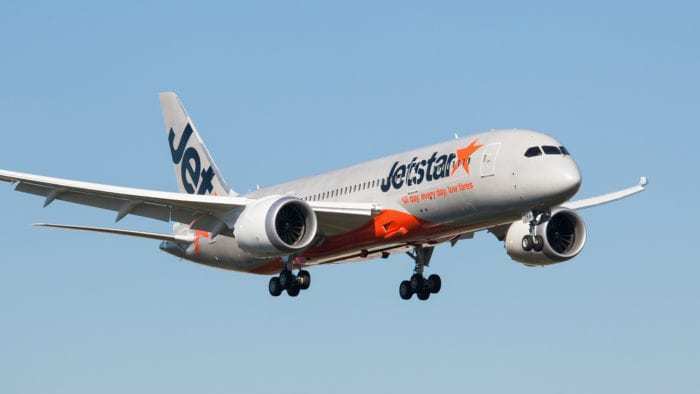 The Jetstar incident affected a Boeing 787-8 Flying from Cairns in Australia to Osaka in Japan on March 29th. The flight, Jetstar JQ15, was operated by the aircraft registered as VH-VKJ. The aircraft is three years old. According to a preliminary report by the Australian Transport Safety Board, the aircraft first experienced engine problems while descending through 15,000ft. The initial statement released by Australian investigators states “the flight crew received an engine thrust warning on the number 2 engine, which subsequently started to surge. The crew then received an engine fail indication on the number 1 engine”. The report then mentions that the “warning was followed by an engine fail warning on the number 2 engine.” Thankfully, the engine auto-relight was activated, and although the engine continued to surge, the aircraft was able to land without incident. The plane currently remains in Osaka while the incident is investigated. Back in January a Boeing 787 operated by Japan’s All Nippon Airways suffered a double engine failure. Coincidentally, this failure also occurred in Osaka, although at a different airport. After touchdown, the pilots activated the reverse thrusters. Shortly afterwards they realised that both engines had failed. Thankfully, the aircraft was able to continue down the runway and safely stop the lack of thrust reversers. The Boeing 787 has become synonymous with Trent 1000 engine problems. Many aircraft have been grounded following excessive premature wear. As of February, Rolls Royce estimated that around 35 aircraft are currently grounded due to the fault. The problem is caused by the fan blades of the Trent 1000 engine wearing away excessively and has most recently seen two of Singapore Airlines’ 787-10 aircraft grounded. The Trent engine issues, however, aren’t responsible for this latest incident. 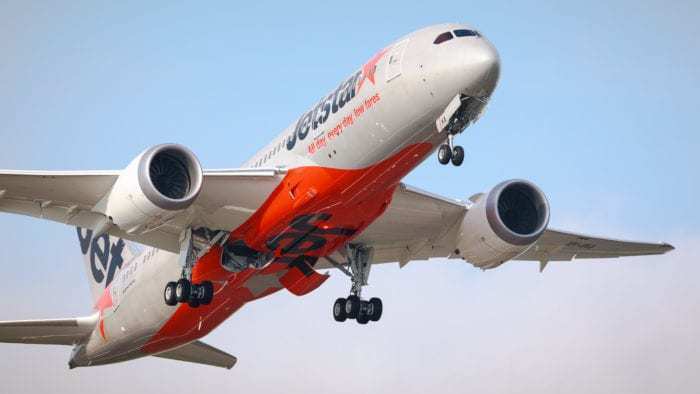 Jetstar’s Boeing 787-8 aircraft are powered by General Electric GEnx-1B64 engines. What do you think caused this latest engine failure? Let us know in the comments down below!